Despite a little nasty, imaginative news reporting, we naive "ivy league slaves" are having a marvelous time here at Columbia. It's a rough week in the news for entry-level publishing people, but we're all too busy anticipating the book workshop to agonize over the literary caste system. 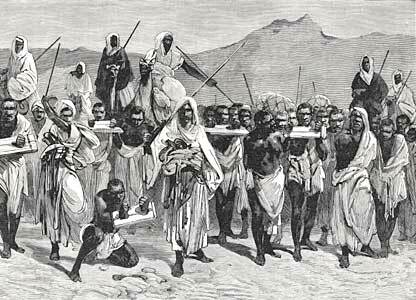 The slave-drivers we've met have been nothing but brilliant and generous. Our days look less like Observer melodrama, and more like gentle New Yorker cartoons. A recent highlight: last night we went out on the town with Morgan Entrekin, President and Publisher of Grove/Atlantic, Inc. He brought three assistants, who talked with us over drinks about their experiences with independent presses. They were the kind of entry-level hires that thrive in independent presses; it sounds like Grove/Atlantic welcomes them in editorial meetings and gives them real opportunities to contribute as much as they can. John Donatich of Yale University Press introduced us to literary presses this morning. His press publishes 400 books a year, is working to have all titles available as eBooks and Print On Demand by Spring 2009, and most notably is working on a number of exciting translations (everything from a collection of folk tales by a woman whose name translates to "Dirty Snow," to a Croatian modernist piece). He referred to Google as "a virtual Alexandria" - I liked that turn of phrase. This afternoon, Chip Kidd, Associate Art Director and Editor-At-Large for Pantheon (Knopf), made the whole room light up with his cover art and quick wit. His visuals never cease to amaze me: his covers first drew me to Augusten Burroughs, Mark Strand, Cormac McCarthy, and so on. He has an eye for simple, stunning, everyday images that have just the right light and color to make you pay attention. They do what great literature does: take an ordinary thing and make you see it in a whole new way. 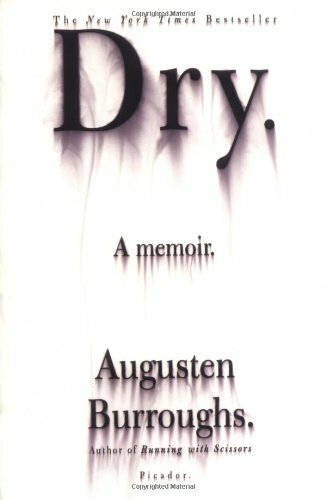 A nice quip: Upon the cover of Dry, the title of which Kidd doused in water - he wanted a word that looked like it was in denial, since the book is about Burroughs's resistance to treatment for his alcoholism - anyway, Burroughs was in an airport watching to see if anyone picked up his book. A woman picked one up and brought it to the counter. Gesturing to the dripping title, she screeched, "This one's ruined!" The man behind the counter said with equal enthusiasm, "I know, lady. They all came in that way!" Kidd even shared with us a clever cover for a book called Fangland - a romantic dramedy about vampires who work in network broadcasting - that was simply a pair of fangs in a glass of water, as naturally as if they'd been set upon a nightstand at bedtime. Kidd's new book is The Learners, upon the Milgram obedience experiments, and you can always view his website here. We ended the night with Eric Chinski, the Editor-in-Chief of Farrar, Straus, & Giroux, and Jordan Pavlin, Editor at Knopf. Jordan Pavlin shared an inspired speech by Pat Conroy about editor Nan Talese. She shared a number of stories of the most exciting stages in her career: she says there's "a certain kind of alchemy that happens" when you strike upon a great work of literature, "things suddenly get ignited," and the editor becomes "so excited because you're reminded of the relevance of, of books!" 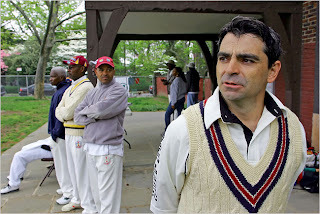 The story of Joseph O'Neill's Netherland stuck out to me - it was "a novel about cricket," Pavlin explained, but much, much more - and went on from a printing of 16,000 to selling about 90,000. She's especially excited for two first novels coming out on her list this season. Eric Chinski left graduate school in philosophy for publishing work, and his most exciting book story was of Alex Ross's The Rest Is Noise, which took about seven years to happen but was a finalist for the Pulitzer. Chinski encouraged us to read articles to find writers and stories that we could make into books. On a personal note, I'm absolutely thrilled that he and especially Morgan Entrekin are looking to magazines and literary journals for new writers and new material. You know I've got my soft spot for little magazines, but I find it very affirming to hear that editors still take the time to seek out new literary writers. And with that, here's a happy bedtime story. Maybe it'll help you stop thinking about the future of online publishing and get a little rest. Don't forget to soak your fangs.